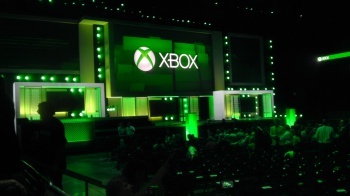 DFC Intelligence says the ugliness of the Xbox One performance at E3 has put a big question mark over the very future of Microsoft's entertainment business. It's pretty well accepted that Microsoft's E3 press event did not go well. The focus was naturally on the Xbox One and its many connected "features" which appear to do things like limit how you can share or trade games, and most onerously mandates a daily check-in with a central server in order to maintain gaming functionality. It was a vision of the future of digital entertainment that did not go over particularly well with its audience. That has led analysis firm DFC Intelligence to warn in its "Forecasts for the Videogames Market" report that "Microsoft's overall strategy for entertainment devices is deeply flawed." As a result, the agency said it will likely lower its Xbox One sales predictions in its August market update and increase its numbers for the PlayStation 4. "So far this has not had a major negative impact on the Xbox business but that is likely to change with the Xbox One launch," David Cole of DFC added. "Right now the entire future of Microsoft's consumer entertainment business is in question and that is likely to have a major impact on the game industry." "In question" can mean a lot of things but few of them are very good and while the Xbox One/PlayStation 4 dichotomy probably isn't quite as black-and-white as it's commonly perceived, Microsoft got killed at E3 and it's going to have to take some big, bold and consumer-friendly steps to bounce back.